Parents that have babies that end up in the Neonatal Intensive Care Unit (NICU) are often unfamiliar with all the machines used to help their child survive and thrive after birth. 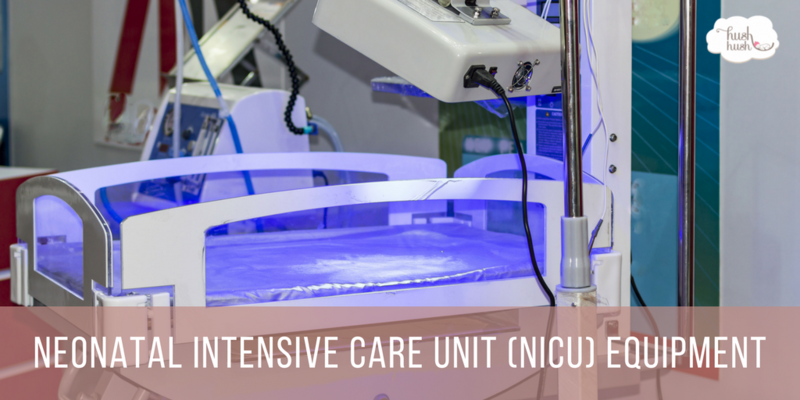 As a part of NICU Awareness Month, we will be doing a brief series on the lifesaving and development aiding equipment used in these special facilities. Read on to learn more about some of the equipment used in a hospital’s NICU. The first item on our list is the apnea monitor which is used to monitor a baby’s breathing patterns. Many preemies have issues with apnea and these machines alert staff members that if a baby stops breathing. According to the March of Dimes, approximately 60% of newborns have jaundice when they are born, and that number goes up for kids that end up in the Neonatal Intensive Care Unit. Jaundice is a condition that yellows the eyes and skin because of excess bilirubin in the body caused by an underdeveloped or non-functioning liver. Bililights are bright lights over the incubator to treat jaundice (sometimes called phototherapy), and treatments are typically 3 to 5 days. While they may not be fancy, blood pressure and cardiopulmonary monitors are some of the most critical pieces of equipment in the Neonatal Intensive Care Unit. The blood pressure monitor uses a small cuff around the arm or leg that measures the force of blood applied to artery walls. The cardiopulmonary monitor is used to track a child’s heart and breathing rates and sounds an alarm if either rate becomes too fast or slow. While most people have heard of a CPAP machine, most are unfamiliar with what they do. The machine is used in the Neonatal Intensive Care Unit to send air and oxygen to a baby’s lungs through small tubes in the nose or windpipe. Feeding tubes serve a variety of functions from providing a little one with breast milk or formula to being used to administer medicine. A gastrostomy tube (G tube) goes directly into a baby’s stomach and are typically used when a baby can’t take food by mouth or requires long-term feeding help. The Nasogastric tube (NG tube) is a specific G tube that goes in through the nose while the Orogastric tube (OG tube) goes in through the mouth.